Gutters are the perfect complement to your new roof giving your home or business a fresh new look. Gutters play an integral role in protecting your property from water damage. Channeling water away from the structure properly will help prevent damage to basements, crawlspaces, and even siding and windows in some cases. 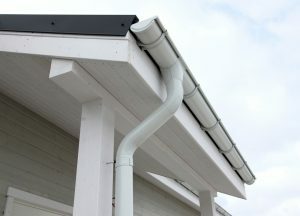 We offer several styles of gutters to fit your needs and desired look. Long lasting and stylish with 25 color options, we make them onsite to fit your specific needs and install them with concealed screws for added beauty and functionality. If timeless style and beauty is your goal, Half round gutters may be a good fit for your home. You will be the envy of the neighborhood with this beautiful upgrade. Featuring round downspouts and elbows, available in 25 colors. Constructed of aluminum, this products out performs many of its competitors. It fits tightly on the top of your gutter and is basically unnoticeable from the ground, we warranty it for 20 years, clog free. 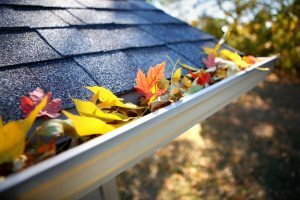 Our Gutter Service area includes Westfield, Carmel, Fishers, Noblesville, Avon, Spencer, Beech Grove, Speedway, Broad Ripple, Zionsville, Indianapolis, Greenwood, Bloomington, Columbus and many more.